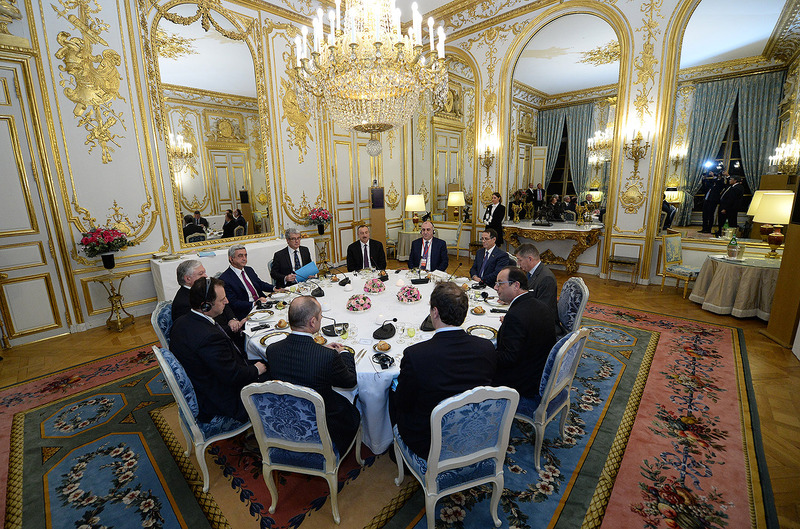 On the initiative of French President Francois Hollande, negotiations over the NKR conflict were held on October 27 at the Paris Marine Palace. 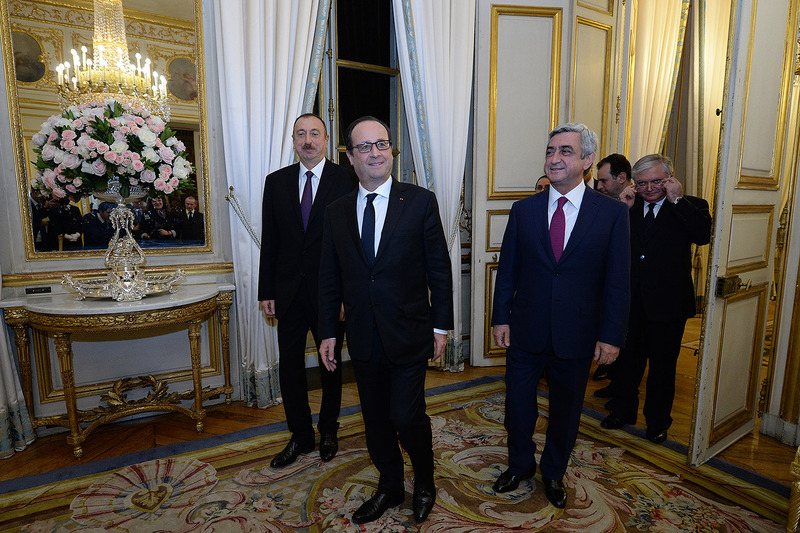 After meeting the French President, the Armenian and Azeri Presidents conducted negotiations with the participation of the OSCE Minsk Group co-chairs and the personal representative of the OSCE Chairman-in-Office Anjey Kasperchik, followed by a private conversation between Serzh Sargsyan and Ilham Aliyev. 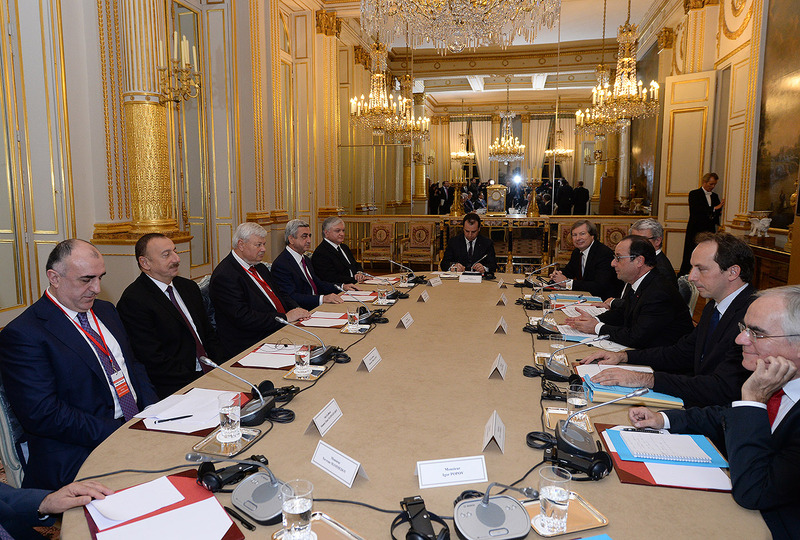 The negotiation results were summed up late in the evening at a joint meeting between Presidents Francois Hollande, Serzh Sargsyan, Ilham Aliyev and the Co-Chairs of the OSCE Minsk Group Igor Popov of Russia, James Warlick of the USA, Pierre Andrieu of France and the personal representative of the OSCE Chairman-in-Office Anjey Kasperchik. The participants attached great importance to continuing dialogue within the framework of the OSCE Minsk Group co-chairmanship and confidence-building efforts in order to make progress in peaceful negotiations. 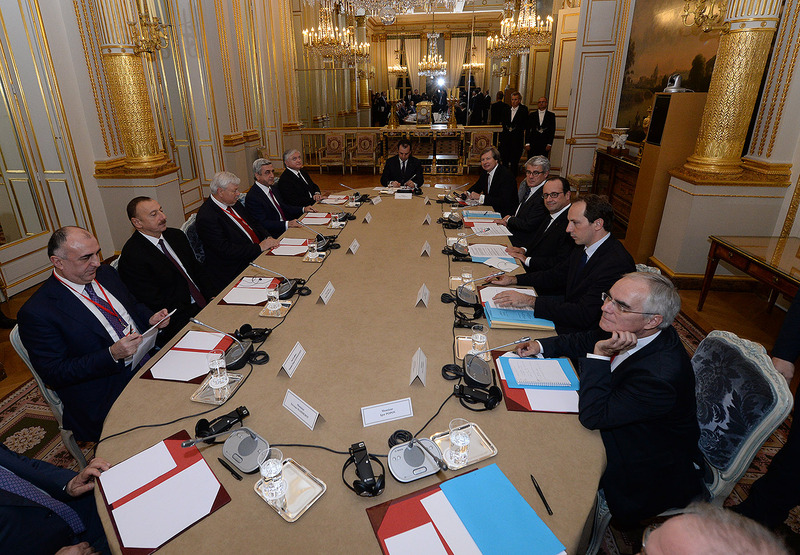 The absence of an alternative to the peaceful resolution of the conflict was stressed. 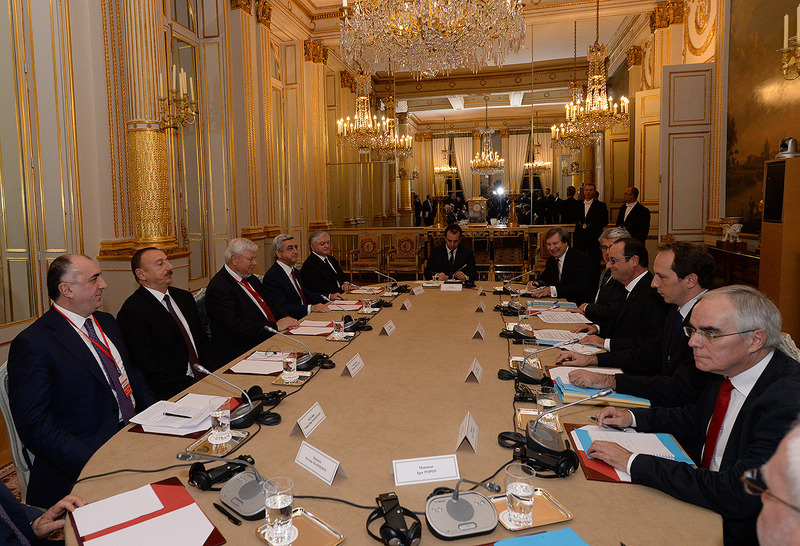 The parties made an arrangement to proceed with high-level negotiations. 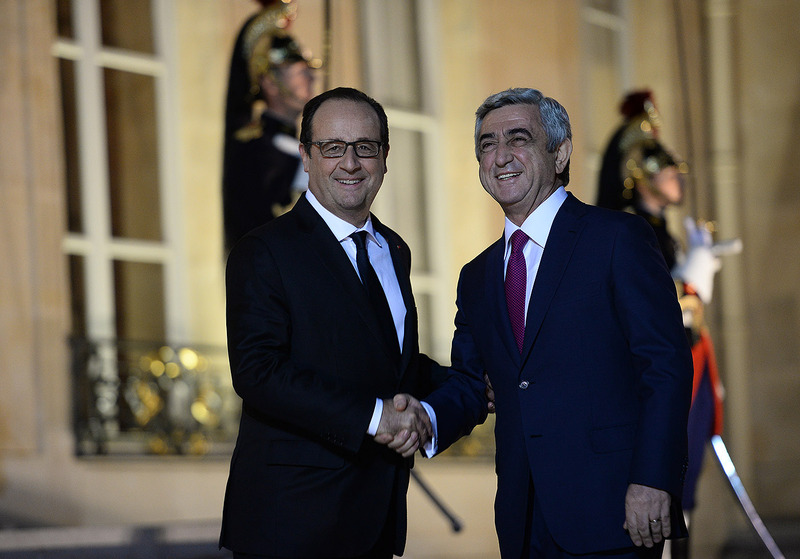 On behalf of the French President, a supper was held in honor of the Armenian and Azeri Presidents at the Elysee Palace on the evening of October 27.